office area. SARAH: This has grown on me a lot for the front den/office area. 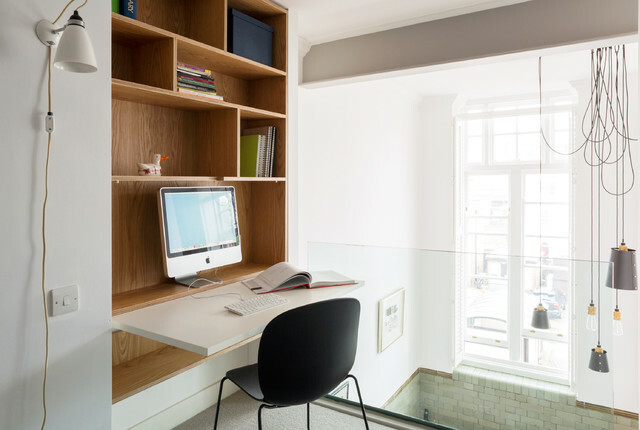 Lots of shelving is key, but the desk that folds away simply by using up like this. I would make it like yellow laquer! Smaller living includes smaller desk.